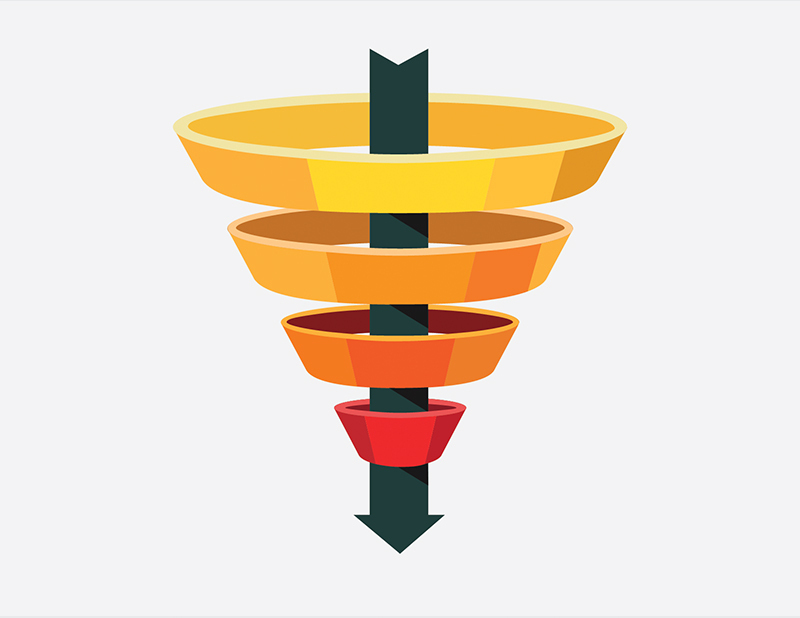 Find out what a sales funnel is and how to make the top of the funnel successful. You have probably heard the term “sales funnel” thrown around; people refer to it as the “key” to marketing. Meanwhile, you’re wondering–what is the definition of a sales funnel? 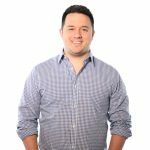 Traditionally sales and marketing were considered fairly separate issues, but the sales funnel approach recognizes the importance of marrying these two teams to create a more successful business and better growth. The sales funnel depicts the large pool of people who the company is initially trying to reach and the process of narrowing down and drawing in the much smaller pool of people who will actually become clients or customers. Understanding and perfecting each of the steps of the sales funnel makes a streamlined path from marketing all the way to successful sales. While the bottom of the funnel (BOFU) is where all of the conversions happen and potential leads are turned into customers and clients and may be mistaken as the most important part of the process, the BOFU could not be effective without the middle of the funnel (MOFU) and the TOFU. The TOFU gets everything started–taking a large, general pool of potential clients and sorting through them to provide potential leads. Let’s look at the questions you need to answer in order to create a successful TOFU. This is a critical question. Not everyone on the internet is going to be interested in your product, information, or service. To figure out how to effectively target potential leads, you first have to determine who is the target for your business. Who needs or wants what you are providing? What is the best means of marketing to reach your potential clients? Where should you reach out to your clients? Social media? Email? Figure out where your potential clients are most likely to come across your information and focus on those venues. What is the best means of engaging them? What type of marketing techniques do these potential buyers respond best to? Broadcasting on social media or emails? One to one outreach? Paid promotions in the form of social media or google marketing ads? Collect data on your results for various methods and adapt to the most effective means. What content does your audience value? In this stage of the sales funnel you should simply be attempting to educate your viewers on a particular issue or question without making sales references. Determine what questions or issues your audience is looking for and provide appropriate, engaging content. How do you push them on to MOFU? The key to successful sales funnel management is not just accomplishing the goal of each step of the funnel, but also to pass potential clients down the funnel. Once clients become aware of a particular issue or question, they are going to want to know answers and solutions. This is where TOFU gives way to MOFU. Effective education in TOFU should set potential clients up to step into MOFU where you will begin to set your company up as the solution to the issues presented by TOFU. Do be the smartest marketer in your space – Know who your customers by conducting research and analyzing the market. Talk with people who have selected your product, people who do business with your competitors, and even people who haven’t yet considered a product in your category. Don’t assume that everyone wants and needs your product – If you haven’t done your research, you’re treating everyone as if they are in market for your product. The wider net isn’t always the best tool for the job. Don’t mention your product – Potential customers are interested in a topic by virtue of a problem they need fixed or a goal they wish to attain, not a product. They may not know or trust your company yet. It’s like asking for a raise on your first day at a new company— don’t do it! Do enable your sellers – Train your sellers in what is important to the customer. Provide them with questions and conversation starters about the topics that buyers care about. Help them become more credible and provide them with additional content that’s aligned with your marketing content and can be used during the sales process. Don’t ignore your salesforce – Your buyers are engaged with you because a certain message that’s been driven by Marketing has appealed to them. Why not make sure that message continues to resonate throughout the selling process, too? With a better understanding of the sales funnel you can begin to create a more effective marketing plan. To learn more about sales funnel stage definitions and how to make your online marketing more successful, contact the marketing experts at Farotech by calling 267-387-6620 or email us at info@farotech.com.